After spending the summer in the sun, now’s the time to undo some of the damage those rays did to your skin. The latest treatment on the market comes courtesy of the new Vibrance MedSpa in Edina, which offers the luxury experience of a spa with the technology of a dermatologist’s office. 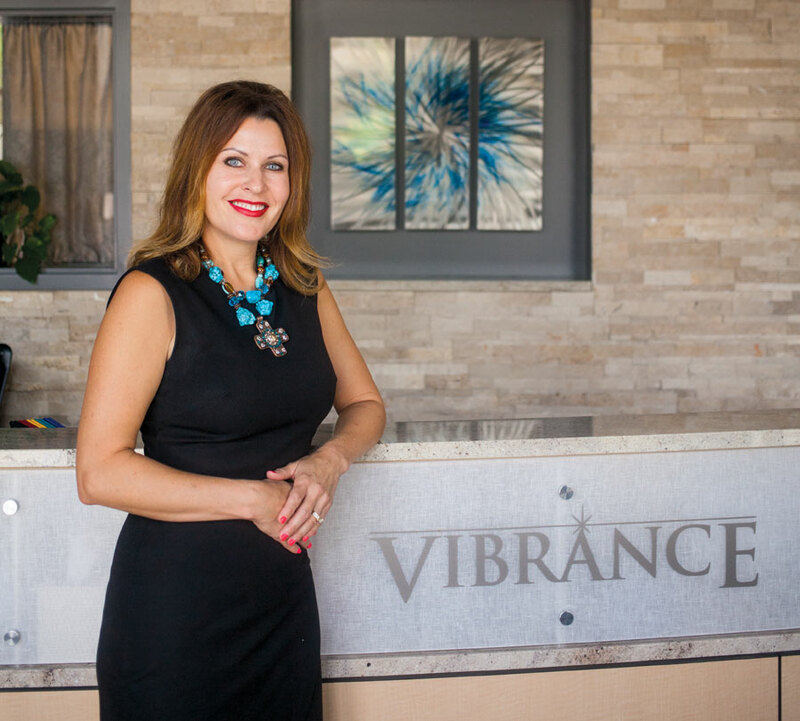 Founded by Rachelle Hart, a registered nurse, Vibrance offers the kinds of services traditionally found at medical spas, such as Botox, dermaplaning, injectables, dermal fillers, and micro needling. But its pièce de résistance is the Halo, a hybrid fractional laser that combines two different laser-resurfacing procedures that have previously been done separately. The Halo vaporizes the outer layers of the skin to cause it to heal, restructure, and increase collagen production, and it can be used to treat everything from acne scarring and pigmentation irregularities to fine lines and sun damage. Unlike traditional laser resurfacing, the Halo promises to reduce recovery time while delivering results more quickly. Another treatment unique to Vibrance is the Forever Young BBL, or broadband light, which is used to reduce the appearance of age spots, freckles, redness, and pitting by delivering infrared light beneath the skin, essentially rejuvenating older, damaged skin cells to resemble younger cells. Vibrance offered me a demo of both treatments and I was pleased to notice the disappearance of an age spot as well as a general evening of my skin tone within one week. Even when combined within the same visit, the Halo and Forever Young BBL left me with no pinpoint bleeding, a regular occurrence in older laser resurfacing technology. And unlike intensive laser surfacing, which can call for one to two weeks of wound care, the Halo results in minor redness and only requires a few days of recovery.